Marilyn Monroe claimed that Diamonds Were a Girls Best Friend in her 1953 song. If I was encrusted in diamonds in the fashion of Marilyn, I might be inclined to agree. 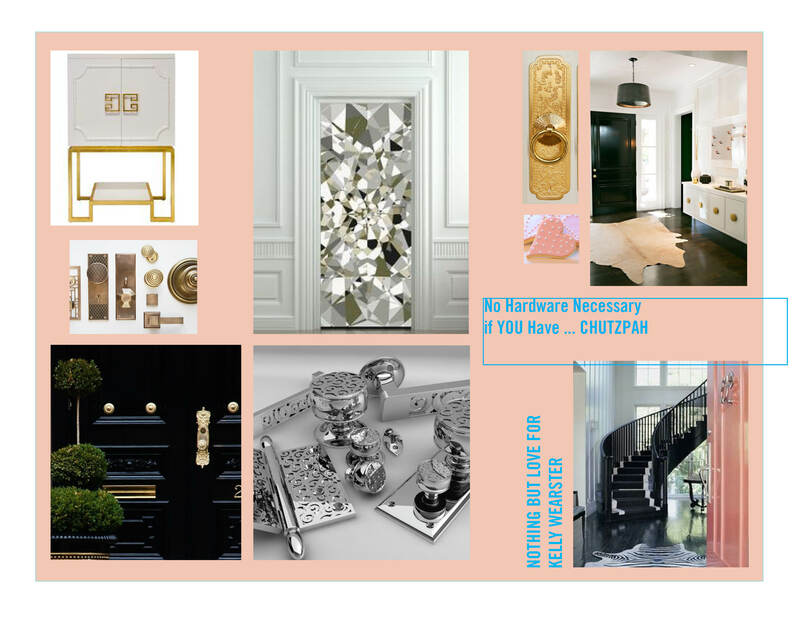 Hardware I would argue isn’t such a shabby second when you consider the value it can add to your home, awe it can inspire, and gosh don’t all those diamonds look terribly heavy? Why not let your door carry the weight. I know mine does. Since you and I are just getting acquainted you don’t yet know how deep my love is for Kelly Wearster. I feel strongly that Cupid would want me to come out and admit it. I do love her design sensibility, her use of geometric pattern – adore, her clean palette accented by a bold lacquered pop of color – audacious, her mixing of metals, mirrors and reflective surfaces – dazzling…her fascination with animal statuettes – well not so much, but you don’t have to love everything about someone’s design style to be wowed and inspired. Thank you Kelly and a shout out to Cambridge Seven Associates for recognizing your talent. 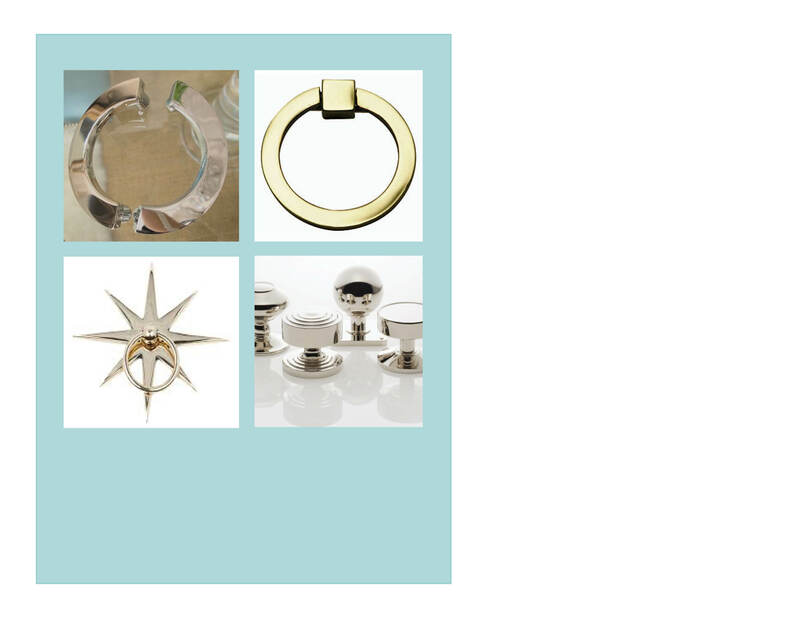 Hardware really is jewelry for your home. No question it helps to have a good base on which to place that special knob, lock set, pull, tie-back, register, or mail box slot, but even the most well loved piece of furniture, surface that has been painted a time or two too many, or tired kitchen cabinet can be made to stand a little taller and draw the attention of a sought after admirer when that heavy metal glints in the light. There’s something about that juxtaposition Big, small, clear, shiny or matte – hardware simply put is not hard to wear. Dress up an old dresser. Re-imagine your kitchen with updated pulls and nobs. Mix, and match, and make a statement. While not everyone will notice the reassuring weight of the knob in their hand, or the artistry that compliments your interior, trust me when I tell you they notice when its less than special. Like a weak handshake the judgements fly and the hopeful request for a second date is cleverly dodged. Ready yourself for a renewed adoration. After all its Valentine’s Day – go ahead and draw a little attention.